alongside your ears. Allow the palms of your hands to meet above your head, as in Prayer Position. Look up toward your fingertips as you gently arch backward. 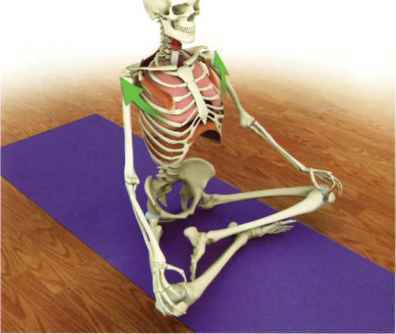 This position is known as urdhva hastasana in Sanskrit (see Fig. YPS.lc).